This post is sponsored by Kix! Make sure to check out their new Kix Story Boxes at your local Target. It's fascinating how creative kids can be. My kids have imaginative games they play on a regular basis and I'll often hear them discussing whether they want to play “grown ups” or “complaining baby.” I'm not sure about that last one! When they get together with their friends outside, the games become even more elaborate and often involve a combination of ninjas, monsters, and mermaids for the girls, of course. 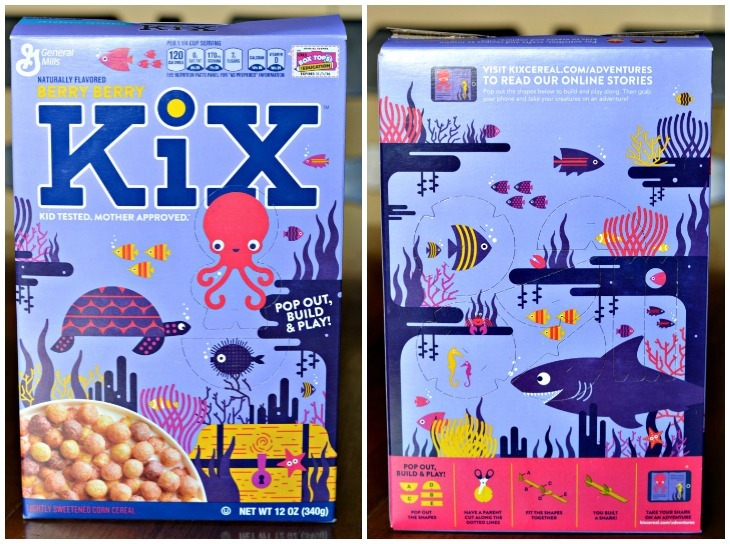 So I love that one of my favorite childhood cereal brands, Kix, is focused on fueling kids’ imaginations and inspiring their creativity. For so many American homes, cereal is a breakfast staple and it's my kids favorite breakfast food. Now, with the new Kix story boxes, the cereal box has taken on a new life. 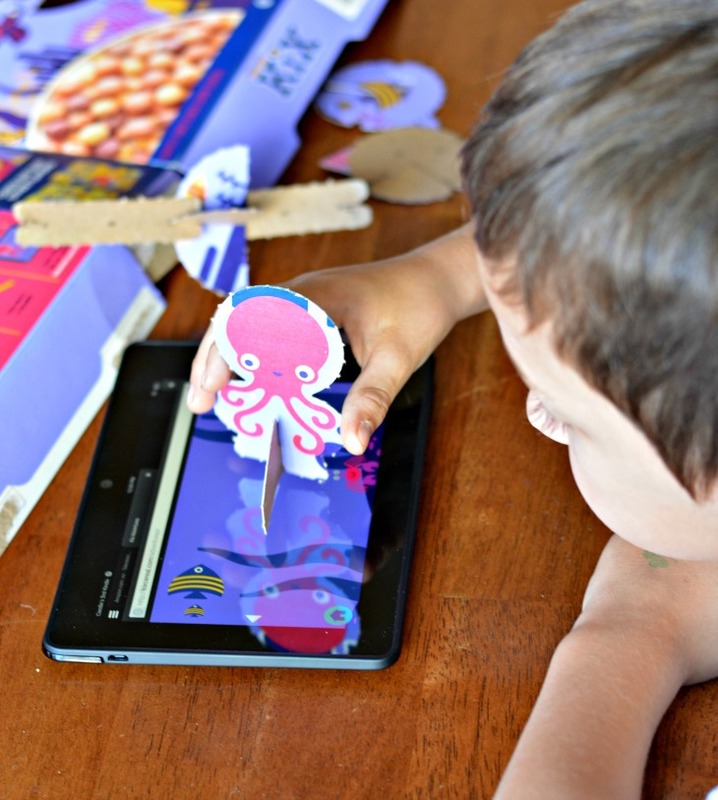 The new Kix boxes are made to become a toy to inspire creativity with punch-out building pieces and characters that kids can use to make up stories and games. 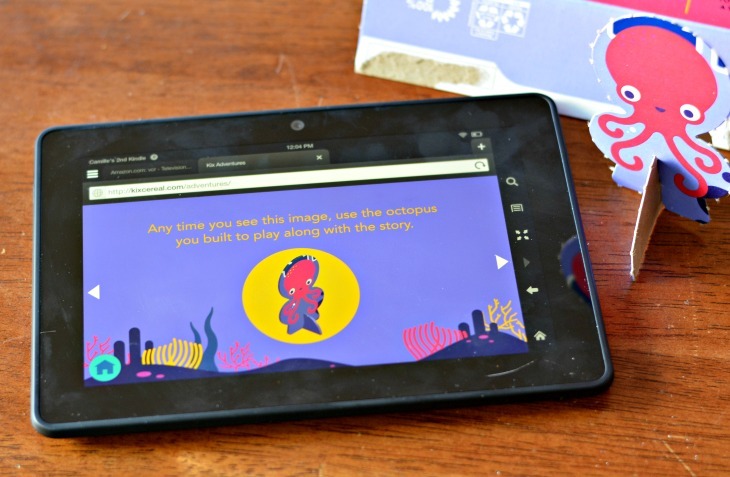 The characters on the Kix story boxes can also come to life through online storybooks called Kix Adventures. 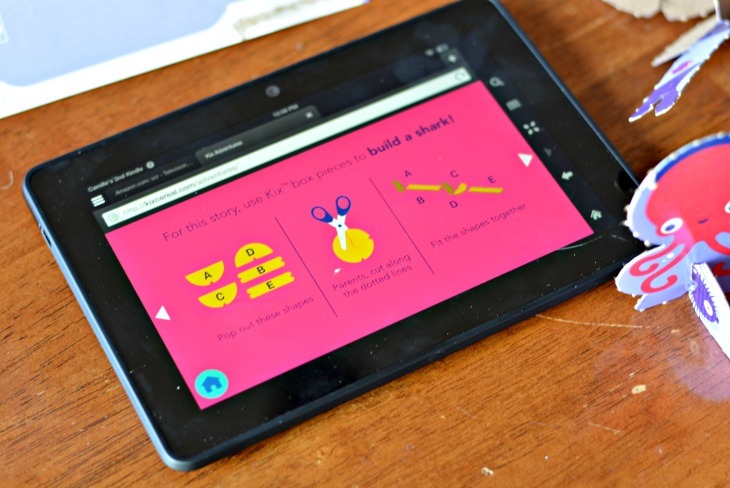 I downloaded the app on to a Kindle tablet. We choose a couple of stories to try out. For one we needed to make a shark with the Kix pieces and the other one needed an octopus, which was ready made. He really liked the octopus story! 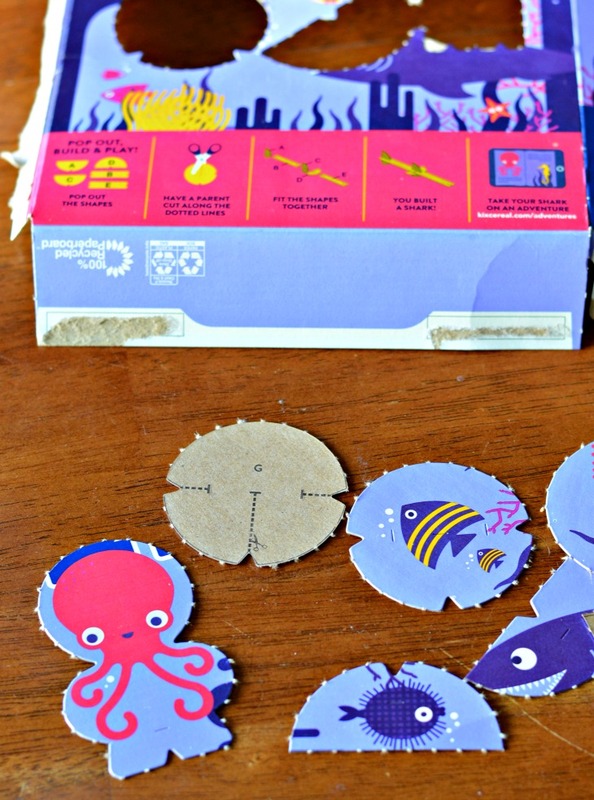 It's a fun interactive tale of an 8 year old octopus. He used the toy from the cereal box for different parts of the story and loved it! 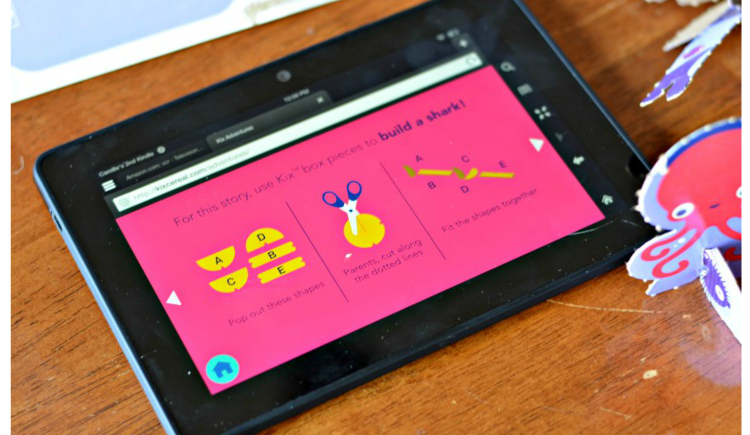 There are so many fun options for using the Kix story boxes! 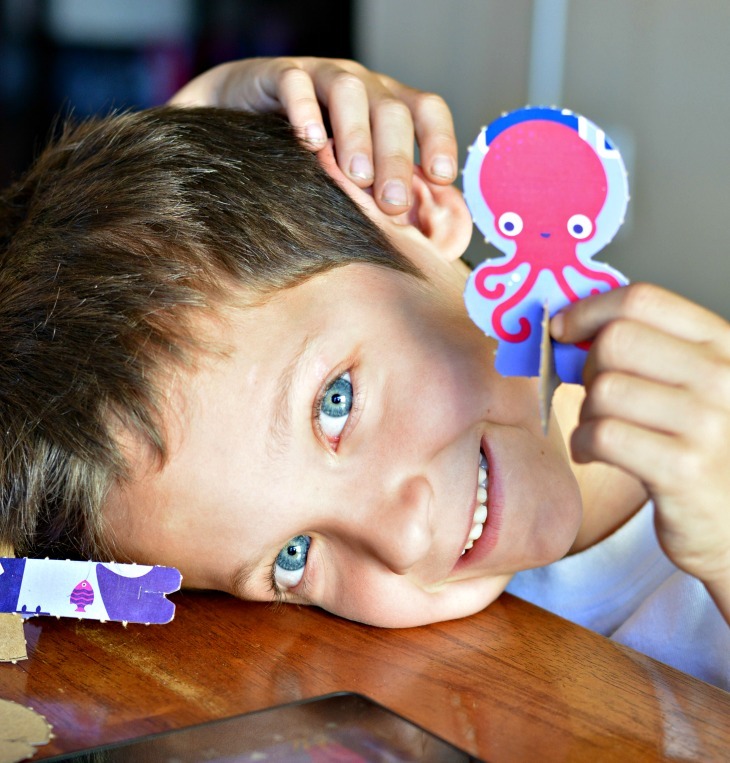 They are sure to inspire creativity as your kids create new friends and adventures.